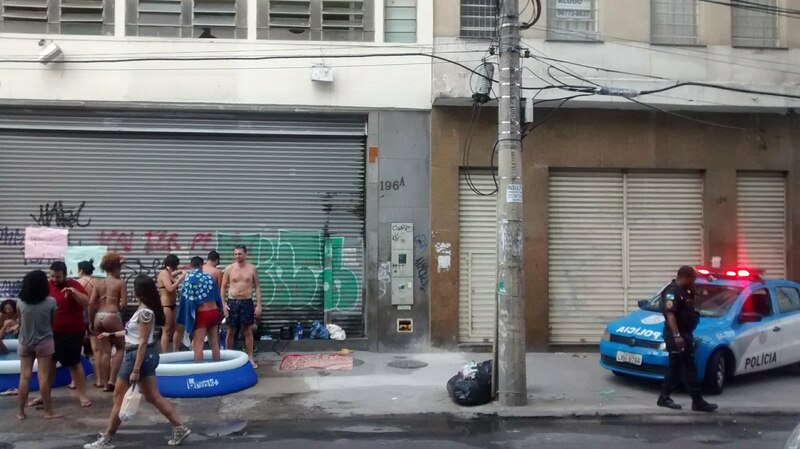 Home » Event Reports » What Can an Inflatable Pool Tell Us About Inequality in Rio? What Can an Inflatable Pool Tell Us About Inequality in Rio? 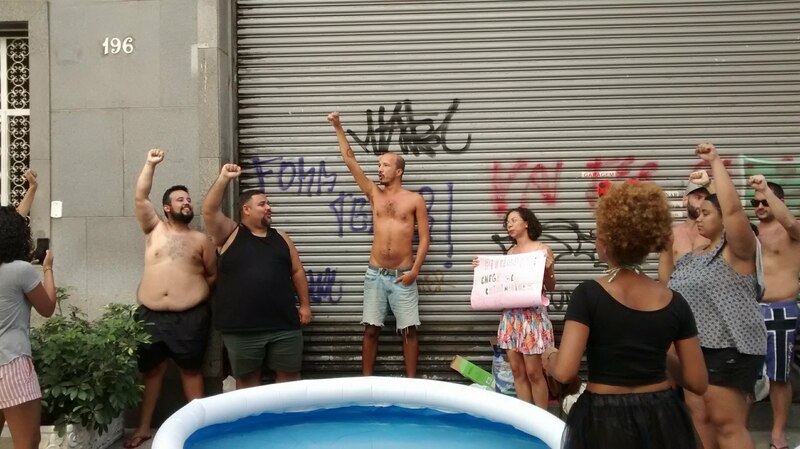 On Saturday, February 3, while revelers took to the streets of Rio de Janeiro in the pre-Carnival atmosphere, a group met in front of the headquarters of newspaper Meia Hora and set up an inflatable swimming pool. The playful act was in repudiation of the newspaper’s front page cover on January 21, which featured an image of children playing in plastic pools with the headline, “Suspect Swimming Pools in Maré.” The event was organized by activists from various favelas who came together to denounce the criminalization of favelas. Meia Hora’s article alleged that the pools depicted in the photo had been bought by drug traffickers, an irresponsible assumption since the Civil Police say there is no investigation to determine the origin of the pools. The organizers of the event reported that the photo, estimated to have been taken in 2016, was shared first on the Facebook pages ‘Favela Nova Holanda’ and ‘Maré Vive,’ popular among Complexo da Maré residents. The article from Meia Hora is not signed by any journalist and the photo has no attribution. Medeiros also stressed that the event, which required financial resources to hire a water truck and purchase swimming pools, was carried out with donations collected through a post on the event’s Facebook page. After the opening speeches, the group chanted the classic ‘Rap da Felicidade‘ with its famous lyrics, “I just want to be happy, walk with tranquility in the favela where I was born,” by Cidinho and Doca, raising their fists in the air. “This is what a favela is, it’s power, it’s us coming together, surviving and resisting, no matter how hard they try to exterminate us,” said Marcelle Decothé of the Rio de Janeiro Youth Forum. Passers-by encountered people having fun in inflatable pools, drinking beer, eating roast chicken, and listening to music. Amid the amusement, the audience discussed the effect of the mass media on the lives of favela residents. 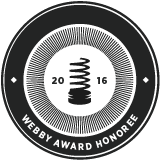 “I always say that commercial media has an owner, namely the rich. Its real purpose is to be racist, to criminalize, to turn the population against social movements, to turn the population against itself,” reflected Martins. A fact that did not go unnoticed was the presence of the Military Police from the beginning of the protest. When the first demonstrators arrived, the police car was already standing by the entrance to the newspaper’s headquarters. “Where the favela is, there is police,” observed Gizele. The event came to an end with a symbolic act. The group dyed the pool water blood red and poured it out in front of the newspaper’s headquarters, highlighting the media’s responsibility for the extermination of favela residents. The criticism of the difference in treatment became even more relevant when, on February 5, two days after the pool protest, the cover of the O Globo newspaper published a photo of carnival revelers in an inflatable pool under the headline, “To cool off in the heat of carnival.” To aggravate the situation, one of the individuals portrayed was dressed as the singer Anitta in her ‘Vai Malandra’ music video. In addition to the pool protest and the virtual critiques, the organizers of the event stated that they intend to take formal measures to denounce Meia Hora’s irresponsible report. They are contemplating taking action with the Public Prosecutor’s Office and filing a complaint to the Journalist Ethics Committee. 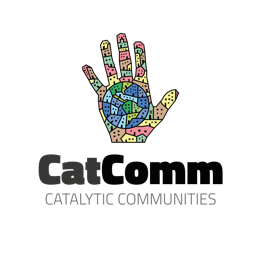 This article was written by Clara Ferraz, and published on February 12, 2018.